Starbucks & Christian foster parents – full disclosure! Frankly I am sick and tired of sitting idly by and watching the brainless sharing of post which spew forth lies and hypocrisy by the un-churched liberal crowd towards Christians. It is no secret all these attacks have little to do with fairness, equality, getting their cake baked, keeping abortion protected or even the separation of church & state. This has everything to do with the quandary they find themselves in. One the one hand they do not want any semblance of a Holy God (i.e. Christians) staring them in the face on a daily basis whether on the street, at the office or in the press. Why you ask? It is actually very simple. God placed in every person the inherent knowledge of right and wrong and to be confronted by it or reminded of that reality by the 10 commandments, missionary outreaches or those advocating adherence to biblical instruction or character proves to be very uncomfortable for those outside the church. But on the other hand there are real problems out there that need to be addressed like alcoholism, feeding the homeless, taking care of foster children, adoption, etc. etc and they have far less interest in getting down in the dirt with these issues so they try and “shame” Christians into stepping up to these challenging social situations through artfully crafted “outrage”. Let me use a metaphor. Let’s say you have chosen to divorce yourself from your wife who happens to have a large, extended and wealthy family. The reason you filed for divorce is because of irreconcilable differences, i.e. you do not agree with her more conservative lifestyle which you perceive to be restrictive and judgmental. But now you are confronted with a new problem of seeing her family at various places around town on a daily basis. Deep down you know your ex and her family are good people but in order to feel good about being the one who left the marriage your only option is to constantly attempt to throw her and her family under the bus. That is until you or someone in your circle has a financial crisis they have little capacity to solve in which case you try and shame your ex’s family into helping out because deep down you know how “rich” they really are. Such is the case recently with one of those “gotcha” sound bite post mocking Christians for the ONE Christian who posted the Starbucks cup video pointing out that we should be focusing on something of true importance instead like serving as foster parents. Here are the facts, as if the facts matter, to those who have distanced themselves from the Christ. Neither I nor any other Christian I know has the least problem with Starbucks holiday cup. 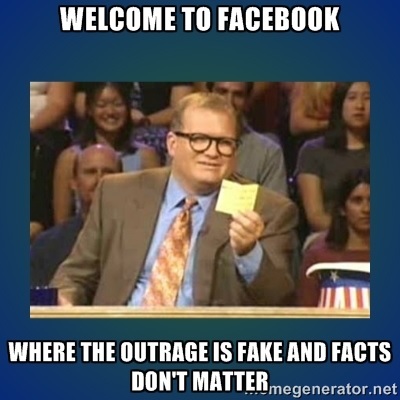 The “outrage” is totally fabricated in an attempt to mock Christians. And when it comes to foster care and adoption here are the facts from a recent Barna Group Survey. 3 percent of practicing US Christians are foster parents & 31 percent have seriously considered fostering a child compared to only 2 percent of the general US population and only 11 percent of those have considered it. Although there are not specific stats for homeless shelters, I did find several reports to the effect that the vast majority of homeless shelters were started by, staffed by or owned by Churches or other non-profit Christian based organizations. And I shouldn’t even need to point out that the Church totally dominates assistance for alcoholics with programs like AA and Celebrate Recovery neither of which charge for the program. Organizations started and staffed by Christians also dominate feeding programs both domestic and abroad as well as sponsoring the majority of clean water and well digging projects in 3rd world countries. So practicing Christians (representing only about 30% of Americans) are more than twice as likely to adopt or be foster parents. Just in our immediate family on Barbie’s side there have been dozens of foster children cared for and 8 of Barbie’s 32 nieces and nephews are adopted – that’s 25 percent. Am I perfect? Heck no! Are Christians perfect? No, but only those who actually step up to the plate will have both the chance to hit a homer or on occasion even strike out. So do the facts really matter? They should! I suggest “the proof is in the pudding” and we all should be judged by the exhortation to PUT UP or SHUT UP!